Caring for aging parents can be an emotional and challenging time for siblings. While siblings can be helpful and supportive during these trying times, they can also be a source of stress for each other. Research shows that in 90% of families, one sibling shoulders more, if not most, of the parental caregiving burden. Taking time to plan out caregiving scenarios with family members before they arise may help alleviate some of this stress. It’s also vitally important to have clear expectations and open lines of communication between siblings and parents. Research shows that 46% of U.S. family care givers said their relationships with their siblings have deteriorated due to the unwillingness of siblings to help with the parental care burden. According to Francine Russo, author of “They’re Your Family, Too” there are three main sibling stressors when it comes to caring for parents. Roles and rivalries. Each sibling has a different relationship with their parents than the other siblings. This role and relationship within the family is not something that simply can be ignored during the caregiving process. Russo believes that the child who felt most loved by the parents or the one who self-identifies as the “good” son or daughter might be more likely to take on the primary caregiver role while the “wayward” child is less willing to offer care to their parents. Responsibility sharing. Every family needs to come up with a way to share responsibilities that works for them. Often times these responsibilities will naturally fall into areas of expertise or interest for siblings. The financially savvy sibling may take the responsibility of paying mom’s or dad’s bills, while the stay at home sibling may want to drive mom or dad to their doctor appointments and do their grocery shopping. Regardless of what the task is, every sibling needs some sort of responsibility. It’s a divide and conquer mentality—everyone needs to feel included and help out. Assessing spending and needs. Perhaps one of the most divisive issues pertaining to care for parents involves allocating a care budget and assessing parents’ needs. Senior care author Brette Sember notes that, “Money is a big, big issue, particularly when there may be enough left for inheritance after the parent passes. All the sibling resentment you dealt with as a kid comes roaring back at this time. This is the time when power struggles in families come to the forefront.” Oftentimes soliciting the help of a social worker or outside advisor may help with objectively determining appropriate needs and spending. Working together to reach a common goal will help sibling learn to collaborate and come together. This goal could be to make mom or dad proud, comfortable, or happy. Regardless of the goal it’s important that siblings realize they are all adults now, have their own independent lifestyles, and that everyone has their own set of circumstances that they bring to the caregiving environment. Do not assume that you’re all the same people you were as children. This will help with establishing the common goals to set and help everyone feel tolerance and understanding towards each other. Information and communication are crucial. Keep your siblings well informed with up-to-date details on the care and health of your parent. Open, honest lines of communication between siblings will also positively impact mom’s or dad’s emotional well-being. Listen and be willing to compromise. Each sibling will likely have their own specific areas of concern. Let them speak and adjust the care plan as needed to accommodate these items. Give every sibling a responsibility. It may be small or large, but every sibling should somehow be involved in caring for the parent. Help is needed and wanted. Express early and often that you want all siblings to provide assistance, wherever needed. Caring for aging and ill parents is a challenging, albeit a rewarding experience. You are able to provide comfort and customized support to your mom or dad. 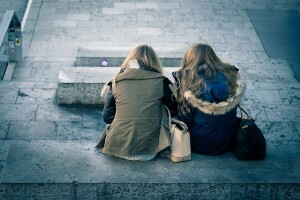 While there are ample opportunities for conflict between siblings going through this challenging experience, there are many tools available to alleviate the stress siblings may feel towards each other. Northwest Primary Care offers medical and resource support for your aging parents, in a caring environment.